The weather here in the UK has, up to now, been very mild for the time of year. We have had some wet spells, but mostly it has been very dry. We are due to have some hard frosts this week so I must put the bubblewrap up on the fronts of the greenhouses - I leave this off until we get very cold weather to let more light in. The fronts face south, so not so critical they have bubblewrap, but I do put it up when it turns really cold. The main part of the greenhouses were bubblewrapped several weeks ago. I also need to check the heaters - should really have done this before now. 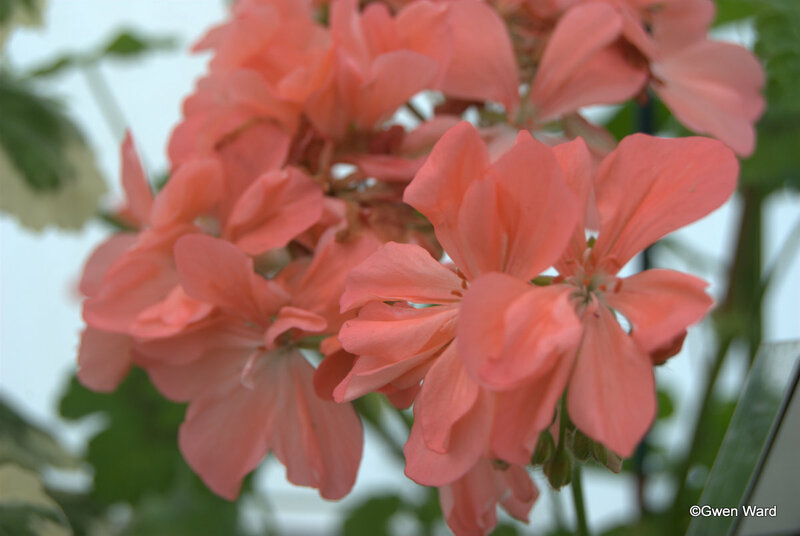 Double soft salmon pink flowers on long slender stems. 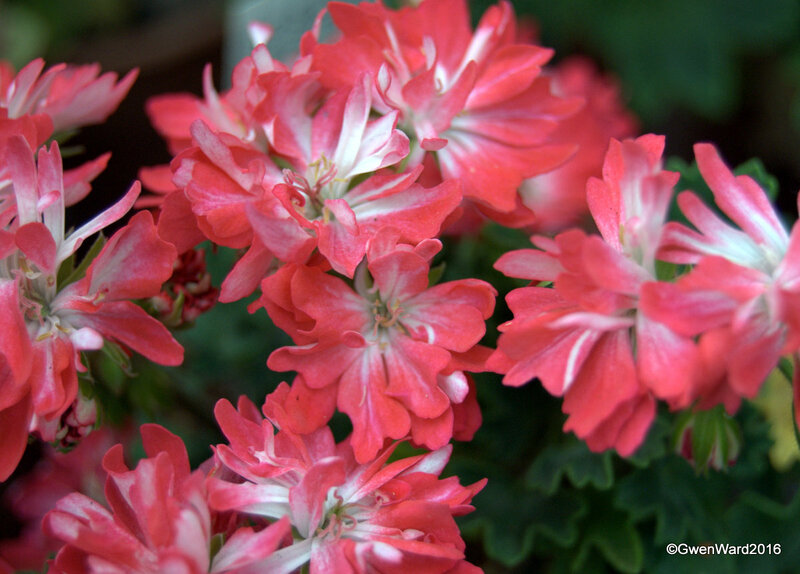 "Floral Cascade" is a dwarf zonal pelargonium, raised by Miss Mary Campbell and introduced before 1966. A cross between "King of the Boars" and a seeding of "King of the Boars". Green leaves with a central zone.